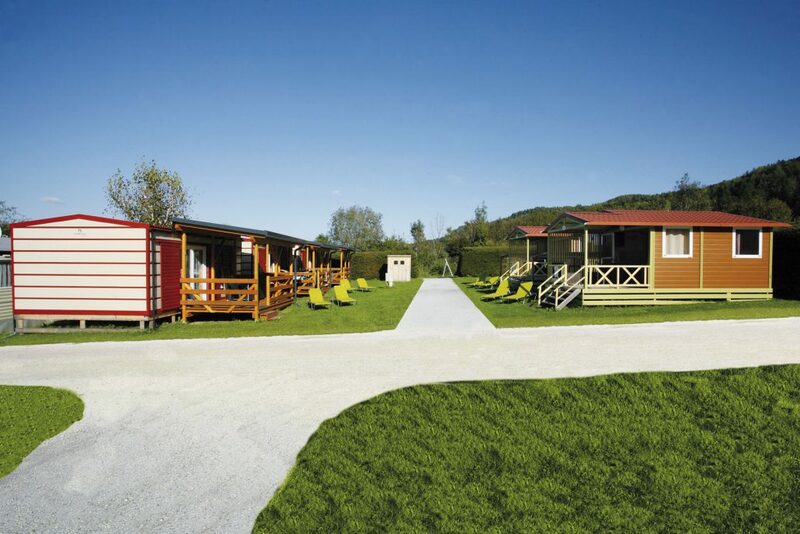 Spend your vacation at our breathtakingly beautiful camping site. It is surrounded by lush meadows and forests. Directly behind the orchid fields you will find the horses of the neighbouring stables. Furthermore, you will see a nice little stream called “Dobeinbach”. In addition, the lake “Keutschacher See” shines beautifully in the summer sun. There is nothing more one’s heart would desire. 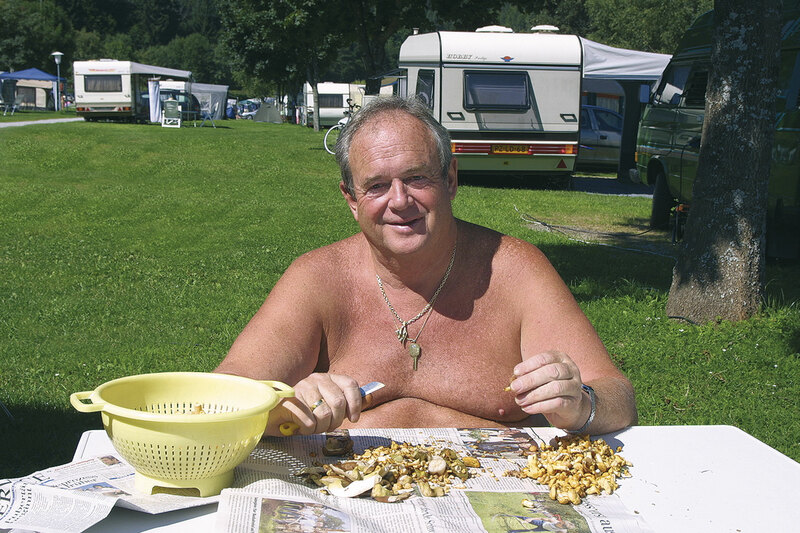 The Safron family will be your host and has been responsible for the excellent quality of the camping site for over 60 years. 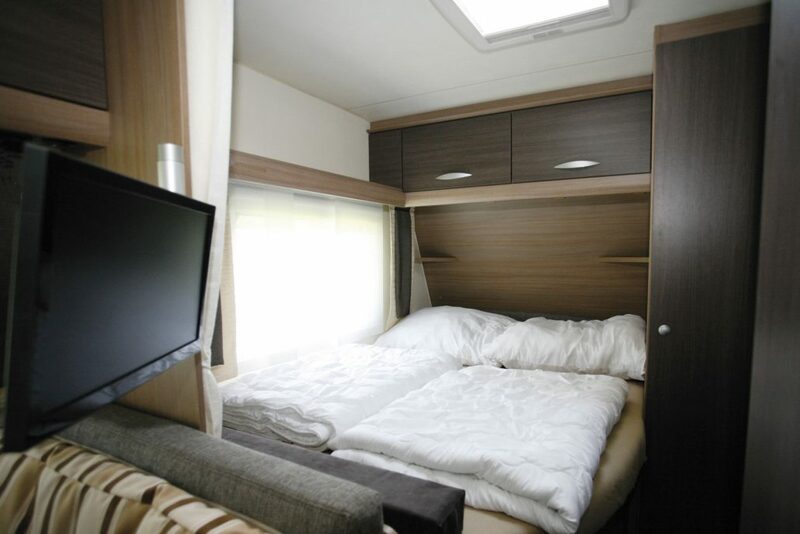 The camping site is family friendly and well-kept. 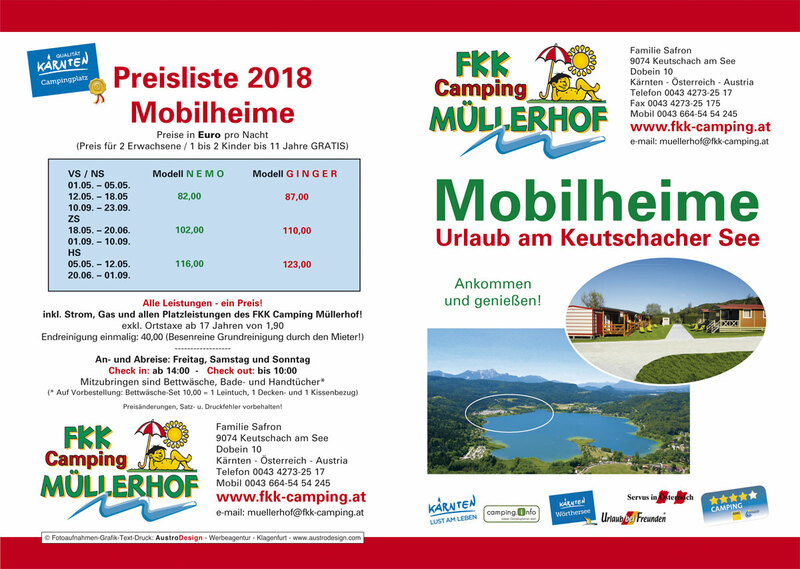 Therefore, our FKK-Camping Müllerhof obtains numerous awards and recommendations every year (by nudist federations from all over Europe, the ANWB, tourism agencies, the ADAC (****) and others). 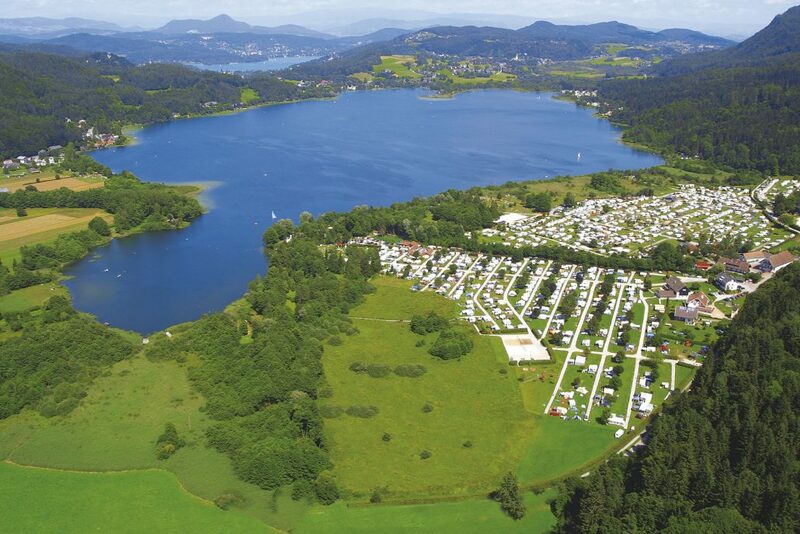 You can already look forward to a carefree camping holiday at the lake “Keutschacher See” in Carinthia. 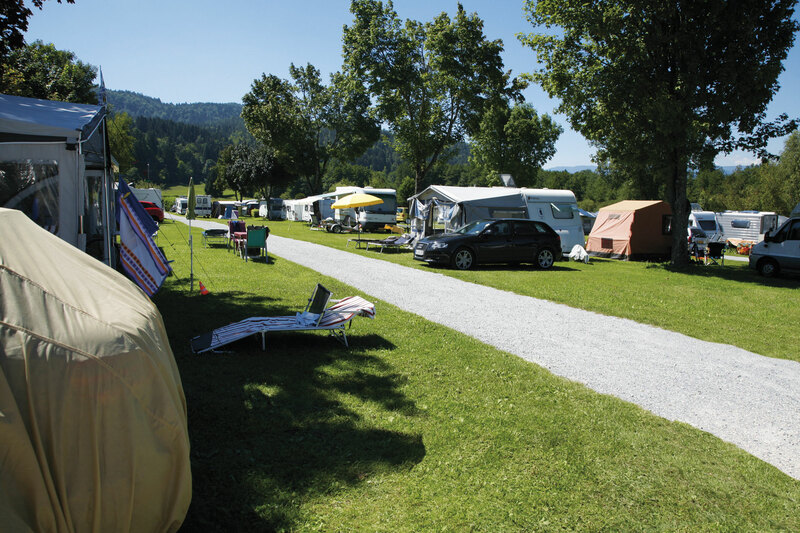 Arrival: Please register at the reception of the Safron family, before you go to your camping pitch. 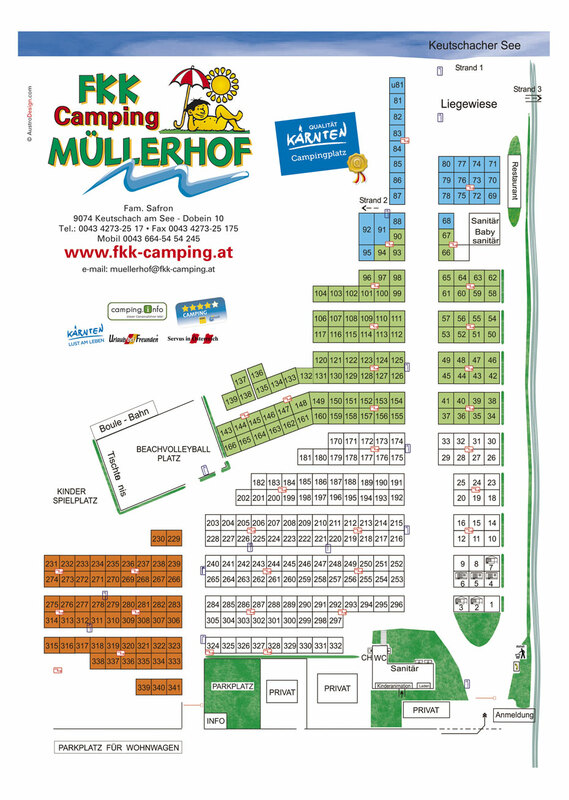 You can avail your camping pitch from 2 pm. Departure: No later than 1 pm. In case you want to leave later, please inform us. In this case additional fees may be incurred. Please note that our billing period is between 8 am and 12 noon. Also pay attention to our Campsite Rules. 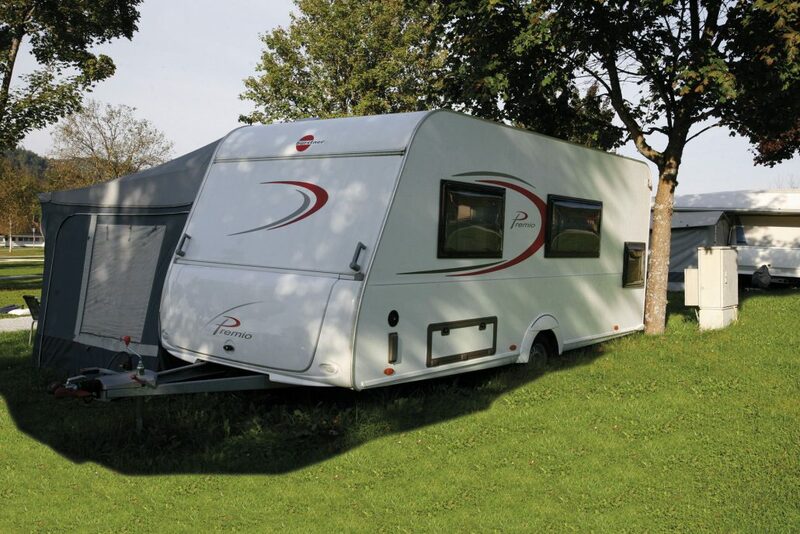 There is only one caravan or mobile home allowed on each pitch, children’s tent are allowed (however not on the pitches of our rental caravans and mobile homes). Please do not place plastic sheets underneath the awning carpet. Unfortunately, dogs are not allowed at our camping site. 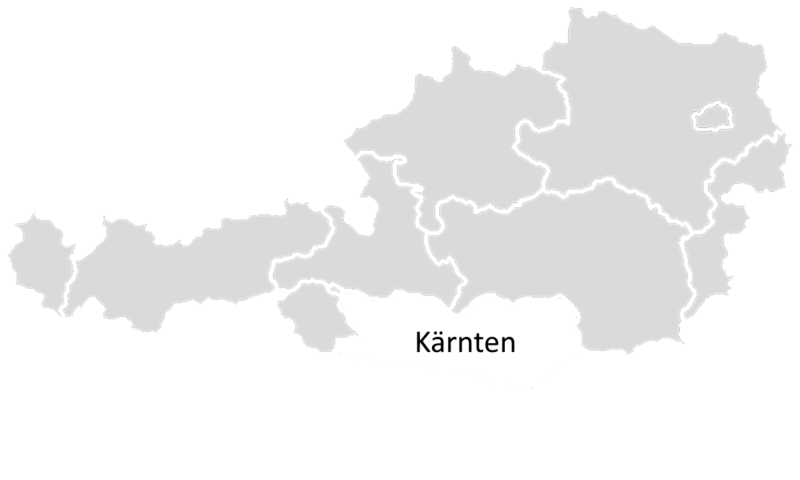 You can access free WLAN on the whole area. 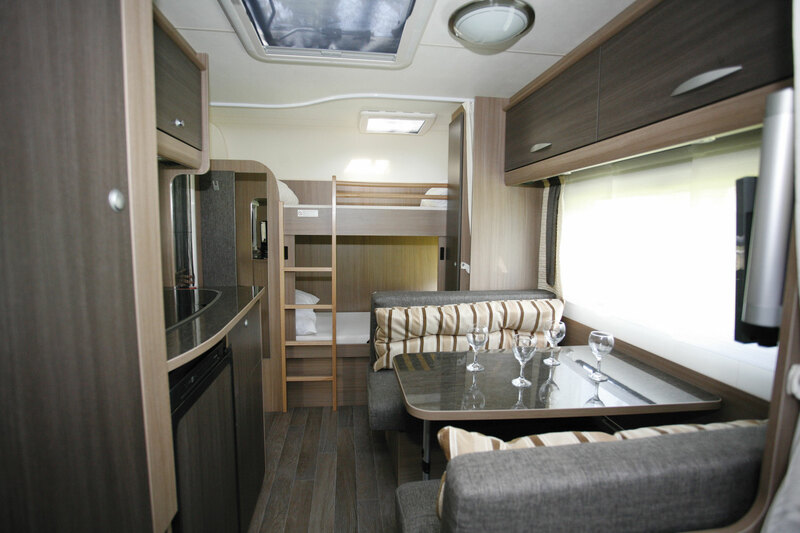 Experience your perfect camping holiday in one of our rental caravans with full equipment, ranging from the awning (for the caravans) to the wine glass. 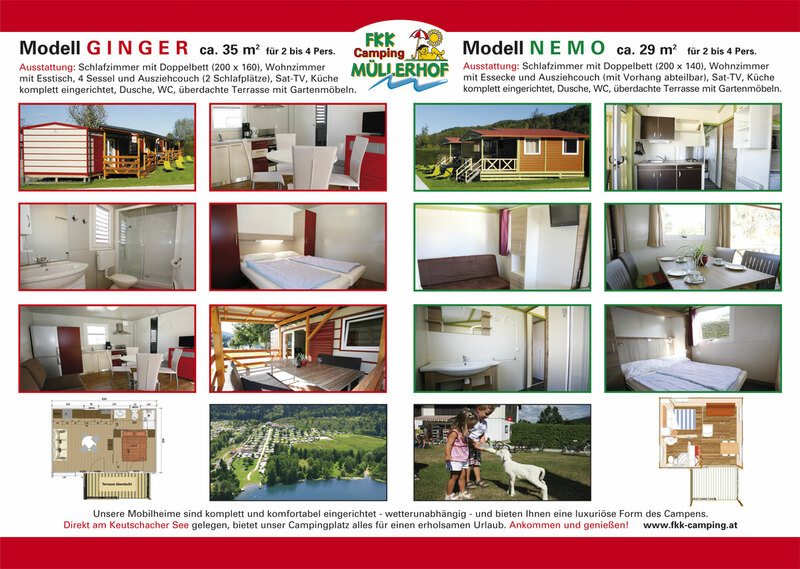 Book your rental caravan at muellerhof@fkk-camping.at or directly here ONLINE. 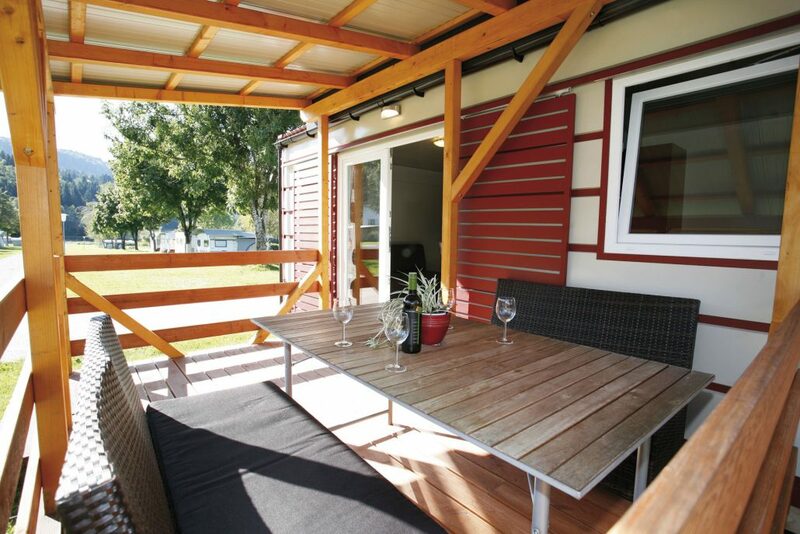 You can also live at our beautiful camping site as a permanent camper. For this reason we prepared special sites. For further information please contact us via e-mail or phone. 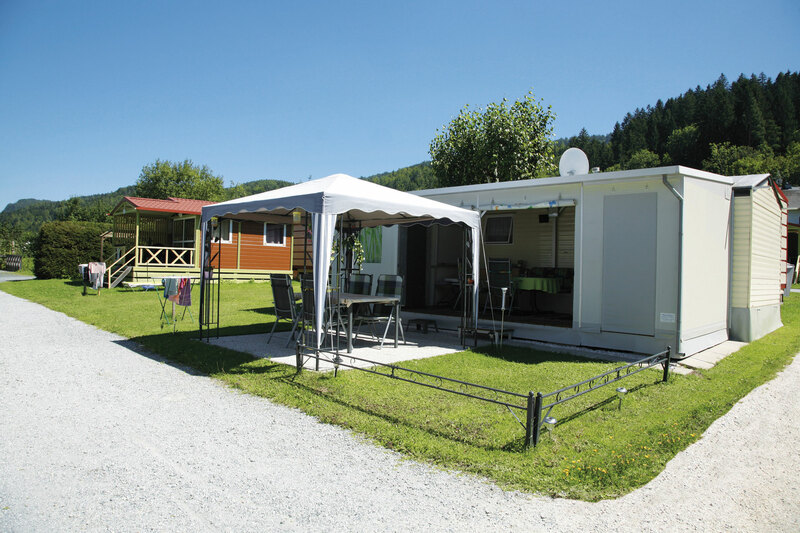 If you spend at least 14 days at our camping site during May and June (if you are using one camping pitch alone at least 21 days), you can leave your caravan at your pitch for free for these two months. 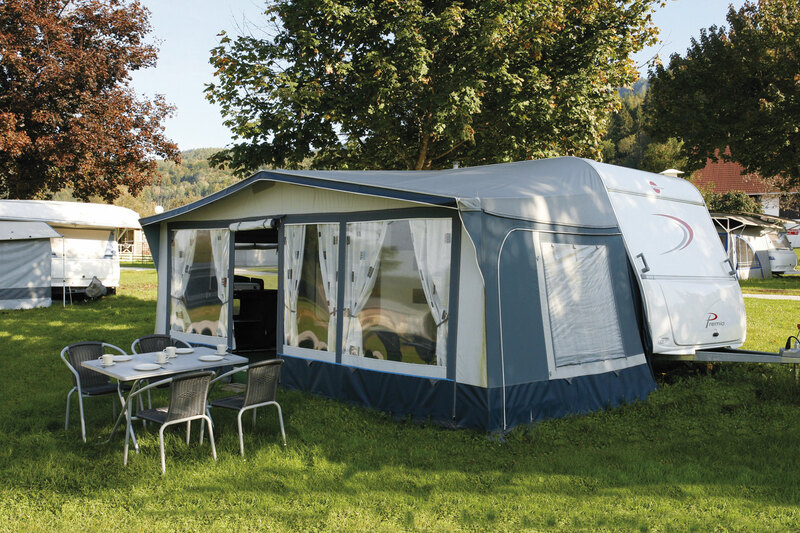 During this time no plastic sheets are allowed to be placed in the awning. For the duration of your absence you would have to remove the electric cable from the junction box. 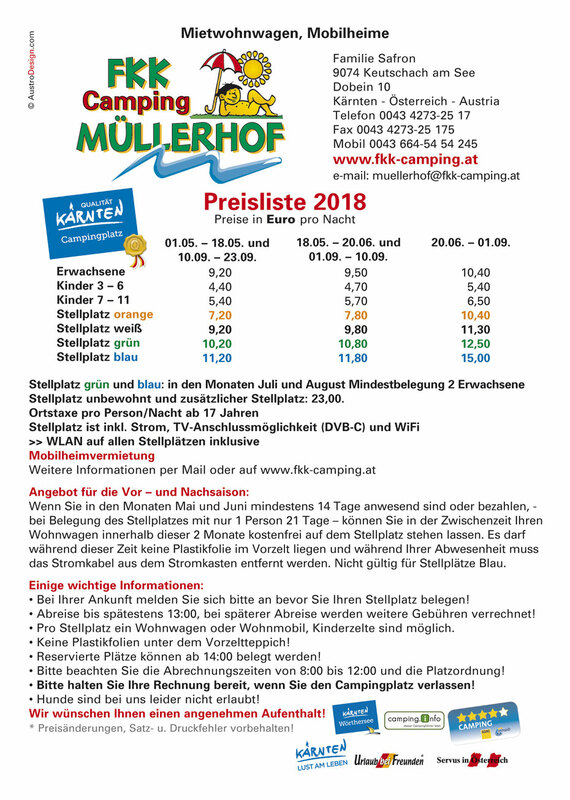 Not valid for camping pitches marked in blue.